You may not have paid attention while he was alive because of “His Entertaining Music”! But Michael Jackson altered his appearance to such a degree that from a paranormal psychological (PNP) view it appeared as though the problems with his father caused him to change how he looks. One of his song’s, “I’m Looking At the Man in The Mirror”, also indicates that he mentally disassociated himself from the related men in his life. “The Man In His Mirror” looks nothing like his father. 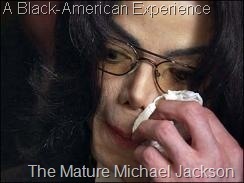 The media told many stories about Michael Jackson’s life. It was said that his father was extremely abusive. It is also said Michael Jackson is a “humble” person. It appears as though his fathers personality and behavior had an extremely negative impact on Michael Jackson’s self image.